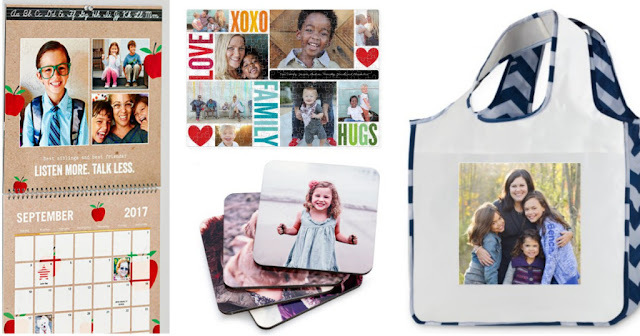 This weekend only, Shutterfly is offering up your choice of TWO Personalized Freebies when you enter the promo code FREEBIE at checkout. Choose from a set of FREE Personalized Coasters (a $19.99 value), a FREE Personalized Puzzle (a $29.99 value), a FREE Personalized Reusable Bag (a $16.99 value) and a FREE 8X10 12-month Calendar (a $24.99 value)! Please note that you will need to pay shipping, which will be $8.99 for the coasters, $8.99 for the puzzle, $7.98 for the reusable bag and $6.99 for the calendar. But, those are not bad prices to pay for personalized gifts! As an idea, if you plan on choosing TWO freebies, you can add the 8x11 calendar and the reusable bag to your cart and pay just $14.98 for shipping! I am creating my two and stashing them away for Christmas presents for the grandparents!